This is my space. I am the master. What is this you ask? Well this is my piece of virtual property. 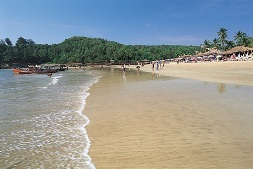 I hail from the sunny state of Goa. I did all my schooling there. Since I am not in Pune anymore, I thought that I needed to update my homepage. It been due long too... So where am I? I am down south, Bangaluru! Why you ask, well change of job coupled with getting married and hence the relocation. I have been here for around 6 months. Settling down phase is slowing winding down. But do I feel a localite... Not by a long shot. I guess there will never be a place like home. This happens to be good old Goa!!! Why? Well it is because of the language. I do not understand the language. Pune was better. I got along with my Marathi. Marathi as you might know is very similar to Konkani. Plus I studied it for like 5 odd years. And I have quite a few relatives that speak Marathi. So what are my view on Bangalore, Well, it just another Indian metro. The general feel is the same. Busy lives, heavy traffic, malls everywhere, expensive to live in, all kinds of people, good, bad, and down right ugly... Bangalore is a place of stages, mains and cross. Every location is either down X main, Y cross, Z stage. Organized yet arduous. Bangalore is greener than Pune. But Pune was more personal. Bangalore is big; the IT scene is maybe 10 times bigger than Pune. It seems more organized. Bangalore has more pleasant afternoons but unpredictable evenings; it can rain on any given day. Bangalore has lakes, Pune had a couple of a rivers. Also Pune had more things to do on weekend, Bangalore, I find lacks the little places outside the city where one can go trekking, hiking, or just drives. Getting out of Bangalore city itself is a task that can put one off such free spirited adventures. I don't think I will have a preference for either. Pune, home for around 4 years, has so many friends, memories that have become so innate... In Bangalore, it's a similar journey... let's see where I reach. Copyright © 2019 iRohit.com | Design by Jayj.dk| This work is licensed under a Creative Commons Attribution-Noncommercial-No Derivative Works 3.0 United States License.